Taipei truly comes alive at night. With bustling street markets, nighttime shopping and a lively bar scene, you won't be short of sights to see after dark. 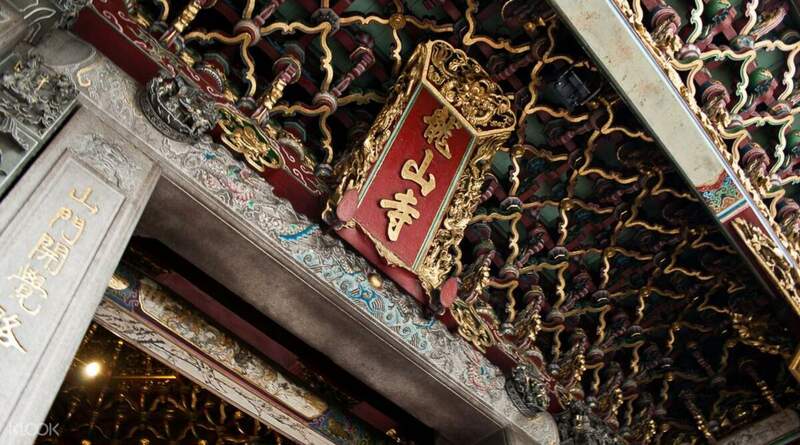 Your tour begins as it only should when in Taipei, with a delicious meal at the famous Ding Tai Fung before heading on to the cultural stops. 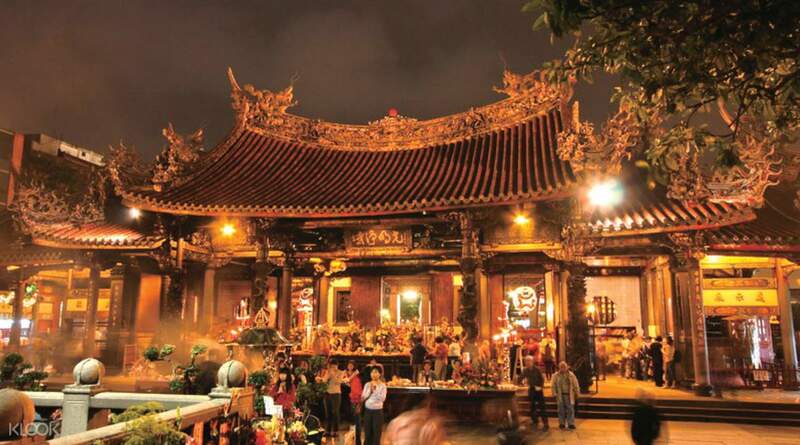 Roam through Huaxi Street Night Market where people flock for Taiwanese noodles, snake soups, squid stews and iced desserts, enter amongst the gentle glow of temple lanterns at tranquil Lungshan, then gaze upon the city lights of buzzing Xinyi District beneath 509-meter high Taipei 101. 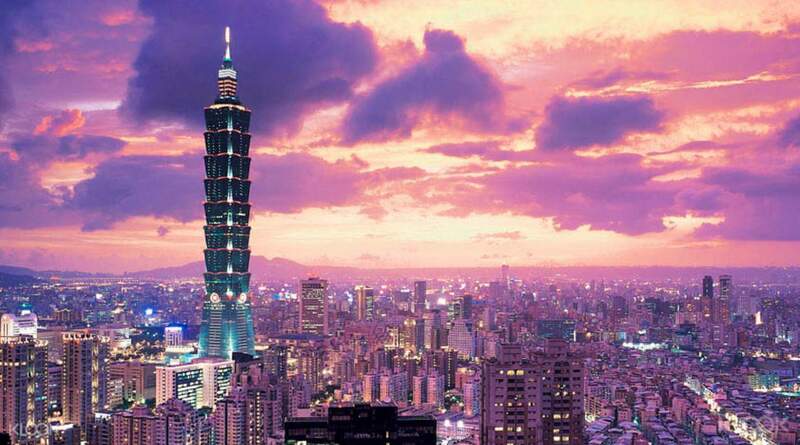 Round trip hotel transfers are available for guests staying in downtown Taipei city. super happy for our first tour!!! The tour guide is very knowledgeable of the place. The delivery of food in Ding Tai Fung was almost non stop. Our tummy was very full after. super happy for our first tour!!! The tour guide is very knowledgeable of the place. The delivery of food in Ding Tai Fung was almost non stop. Our tummy was very full after. My tour guide, Philip (Mr. Lao), was very kind, funny, and very informative. I loved everything about the tour! After the dinner, we had about an hour to look around or go up to the observatory. Everything was as planned, and thanks to my tour guide's enthusiasm, I could learn more about Taipei than I could ever imagine. Thank you! My tour guide, Philip (Mr. Lao), was very kind, funny, and very informative. I loved everything about the tour! After the dinner, we had about an hour to look around or go up to the observatory. Everything was as planned, and thanks to my tour guide's enthusiasm, I could learn more about Taipei than I could ever imagine. Thank you! We really enjoyed this tour. The guide was knowledgeable and knows how to make the tour more interesting. Dinner was excellent! We really enjoyed this tour. The guide was knowledgeable and knows how to make the tour more interesting. Dinner was excellent! The food was great especially the signature Xiao long bao. The tour guide was really knowledgeable about Taipei and its culture and he gave us tips where to go, what to eat, and what to carry going back to our country. The tour started and ended on time. We are 8 during the tour and we rode in a comfortable bus. The food was great especially the signature Xiao long bao. The tour guide was really knowledgeable about Taipei and its culture and he gave us tips where to go, what to eat, and what to carry going back to our country. The tour started and ended on time. We are 8 during the tour and we rode in a comfortable bus. The tour at night was informative. The food was delish and mouthful. They served lots of dimsum on our table. The tour at night was informative. The food was delish and mouthful. They served lots of dimsum on our table. My whole Taipei experience was assisted by Klook! From airport-hotel transfer to dinner selection and sightseeing including this one. Seeing Taipei at night with a bit of historical narration from our very friendly and accommodating guide Ms. Grace was two outstanding. Normally, history plus the sense of space as told by a guide has a tendency to be empty. But not this time with Grace. I guess the difference with the other guides was her sense of pride in place. Anyhow, this itinerary by Klook is fantastic: a combination of the sacred (Loishan Temple) and the secular (Night Market), sensual (sighting of Taipei 101) and tasteful delight (Din Tai Fung). 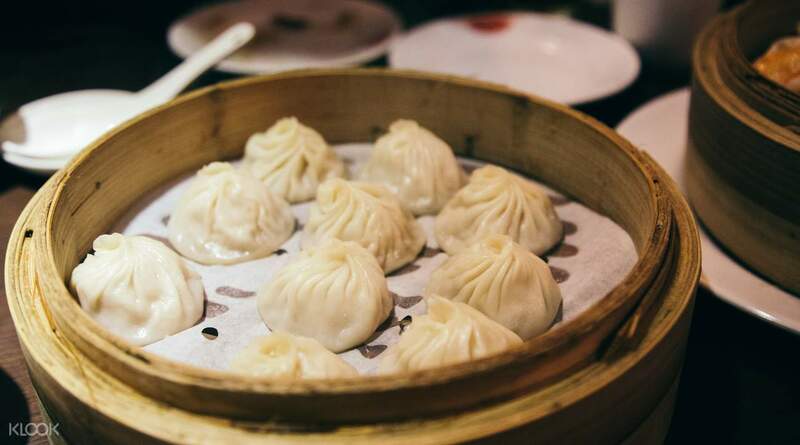 The highlight: the Din Tai Fung experience at Taipei 101. I was a bit worried at first that food served might not be enough but eventually, food just went on coming and coming until we realized we could no longer consume everything. There was xiao long bao, fish dumpling, lamb dumbling, shrimp dumpling, meat dumpling in chili oil, spinach, hot and sour soup, rice, etc. For those who will be purchasing this itinerary, expect to wait for about 30 minutes when you reach Din Tai Fung. That's the reality of this Michelin Star restaurant. Just remind yourself, waiting is part of the experience. Besides, you are inside a shopping mall, might as well make yourself a little busy. My whole Taipei experience was assisted by Klook! From airport-hotel transfer to dinner selection and sightseeing including this one. Seeing Taipei at night with a bit of historical narration from our very friendly and accommodating guide Ms. Grace was two outstanding. Normally, history plus the sense of space as told by a guide has a tendency to be empty. But not this time with Grace. I guess the difference with the other guides was her sense of pride in place. Anyhow, this itinerary by Klook is fantastic: a combination of the sacred (Loishan Temple) and the secular (Night Market), sensual (sighting of Taipei 101) and tasteful delight (Din Tai Fung). The highlight: the Din Tai Fung experience at Taipei 101. I was a bit worried at first that food served might not be enough but eventually, food just went on coming and coming until we realized we could no longer consume everything. There was xiao long bao, fish dumpling, lamb dumbling, shrimp dumpling, meat dumpling in chili oil, spinach, hot and sour soup, rice, etc. For those who will be purchasing this itinerary, expect to wait for about 30 minutes when you reach Din Tai Fung. That's the reality of this Michelin Star restaurant. Just remind yourself, waiting is part of the experience. Besides, you are inside a shopping mall, might as well make yourself a little busy. Had a blast with the tour. I was expecting to be in a much larger group and was happy that there were only 7 in the group. It made the tour more efficient. Unfortunately, it started raining a couple of minutes when we started the tour. Taipei 101 at night is so majestic and breathtaking. Had a blast with the tour. I was expecting to be in a much larger group and was happy that there were only 7 in the group. It made the tour more efficient. Unfortunately, it started raining a couple of minutes when we started the tour. Taipei 101 at night is so majestic and breathtaking. Wonderful and fun tour guide! Our guide was Alice and she was wonderful and friendly. I enjoyed my very first night in Taiwan thanks to Alice. Would recommend her to my friends. Wonderful and fun tour guide! Our guide was Alice and she was wonderful and friendly. I enjoyed my very first night in Taiwan thanks to Alice. Would recommend her to my friends.